Russia Proposes Easing Laws On Corruption, Saying It's Unavoidable Sometimes The proposed rule from the Justice Ministry says officials and public figures could be exempt if "objective circumstances" made it impossible for them to comply with corruption laws. The Russian Justice Ministry has issued a proposal to exempt officials from corruption charges under certain conditions. Russia's Ministry of Justice is proposing a change to make some corrupt acts exempt from punishment, if the corruption is found to be unavoidable. The proposed rule says officials and public figures could be exempt if "objective circumstances" made it impossible for them to comply with corruption laws. Corruption that is "due to force majeure is not an offense," the proposal states. But it does not go into detail about the circumstances under which conflicts of interest, bribery, fraud and other offenses might be decriminalized. The proposed rule, which is published online, was created to fulfill a decree signed by President Vladimir Putin last year. 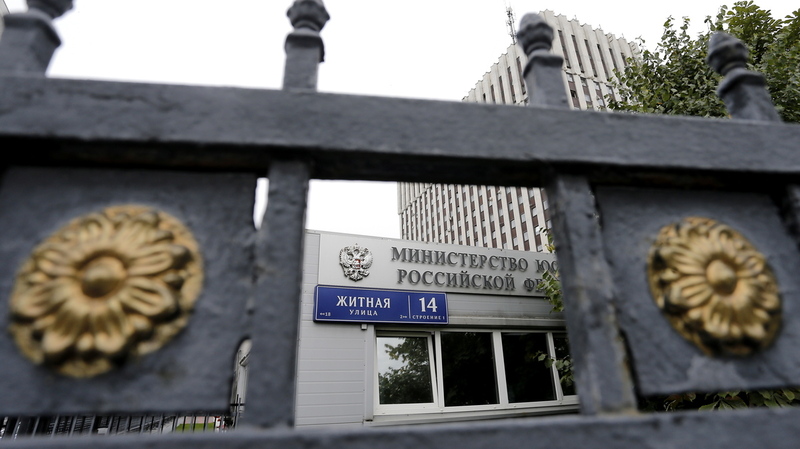 Because of that order, several federal agencies are now working to amend Russia's corruption laws, with the Justice Ministry leading the effort along with the ministries of labor and internal affairs and the public prosecutors' office. The proposal is currently in a 15-day public comment period that opened Friday and will close on Feb. 8. News of the corruption proposal is making headlines in Russia as the group Transparency International releases its annual Corruption Perceptions Index, which gives Russia a score of 28 out of 100 (with 100 being least corrupt). The corruption index faults Russia's rampant cronyism and weak protections for citizens' civil rights. It also cites a biased judicial system and "a lack of trust among experts and businesspeople in the ability of the government to yield sustainable anti-corruption action." Bribery in Russia increased in 2018, the Council of Europe said last month, citing Russian media in reporting that "the majority of corruption cases in 2018 were initiated against the staff of the Ministry of Interior of the Russian Federation," with more than 790 employees charged. And according to a Russian criminal statistics website run by the federal Prosecutor General's Office, there were 3,315 registered cases from January to November 2018 in which a bribe was received in Russia and 2,408 cases in which a bribe was offered.